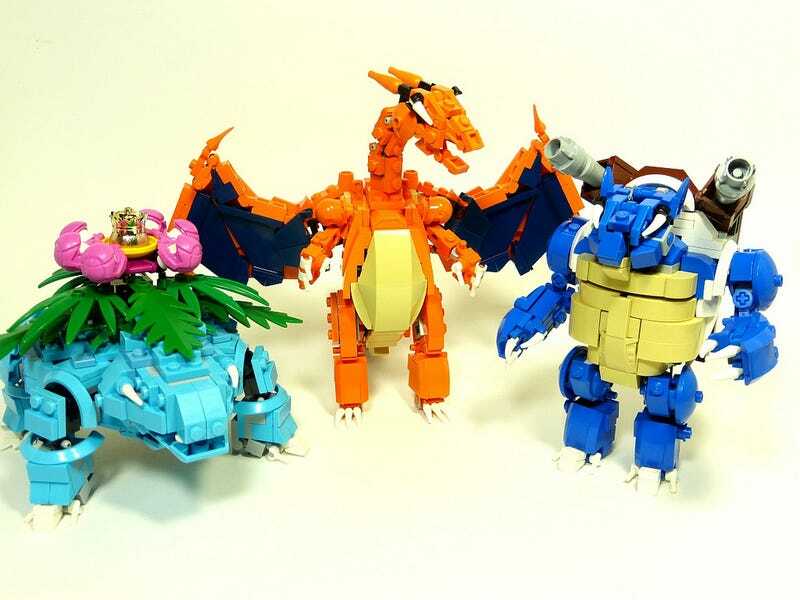 Lego Mecha Pokémon. LEGO. MECHA. POKEMON. What would be cooler than commanding fierce beasts to battle against other beasts, as you do in Pokémon? Easy. If the beasts were lego mechs instead—mechs which can be piloted. Does anything else need to be said, really? Check out these "Poke-Mecha" of the final evolutions of the original three starters Stormbringer, originally posted on Flicker a few months ago. They took a whole three months to put together—but judging from the results, it was worth it. You can see more pictures of these Poke-Mecha here.